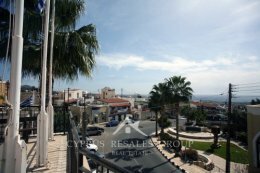 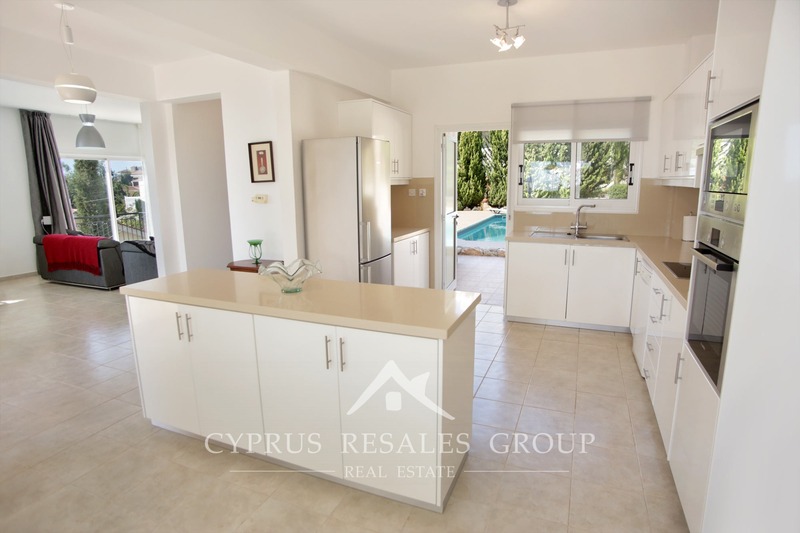 4 Bedroom Villa in Zalakia area of Peyia, Paphos, Cyprus to Buy. 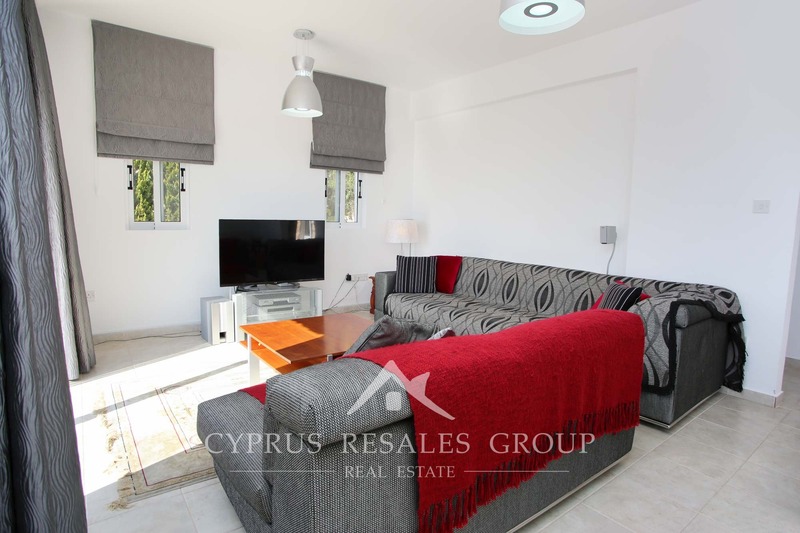 The Zalakia area of Peyia is reserved for the very best large villas in the town and Cyprus Resales are happy to bring to the market this imposing stone clad 4 bedroom villa in a quiet cul-de-sac with magnificent views over the blue Mediterranean sea. 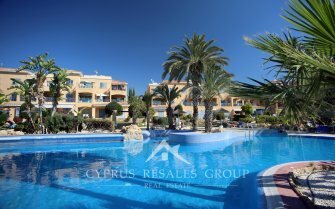 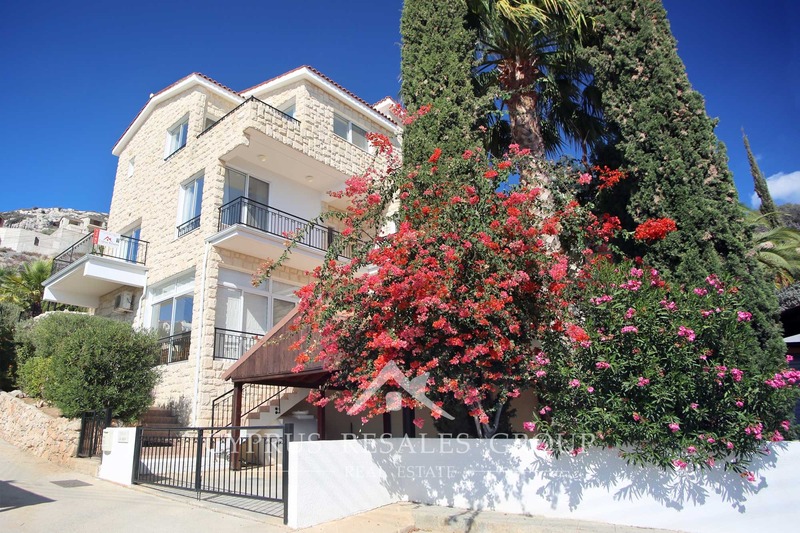 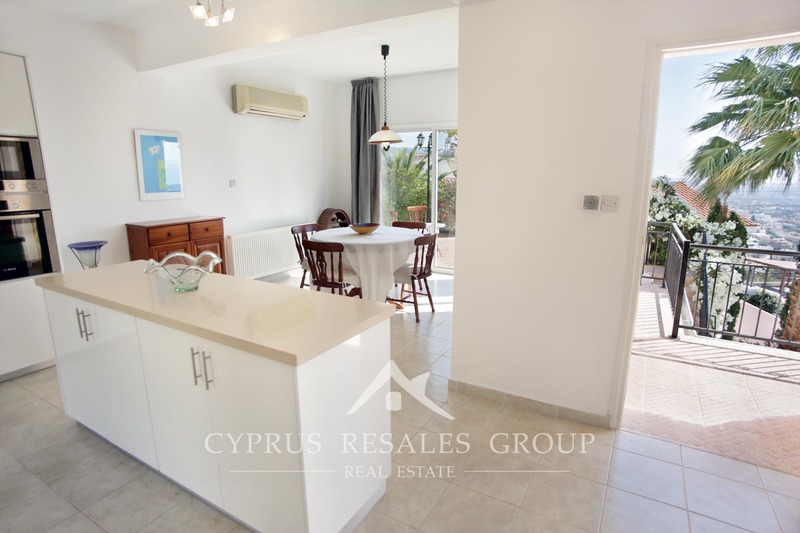 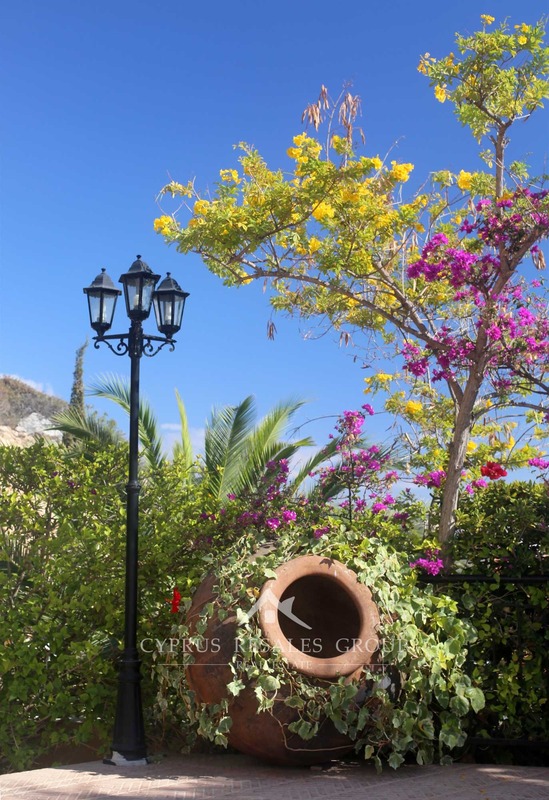 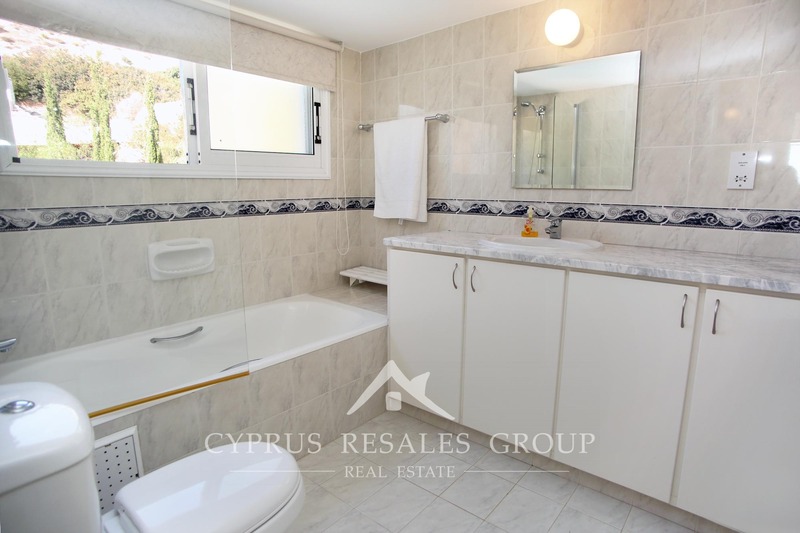 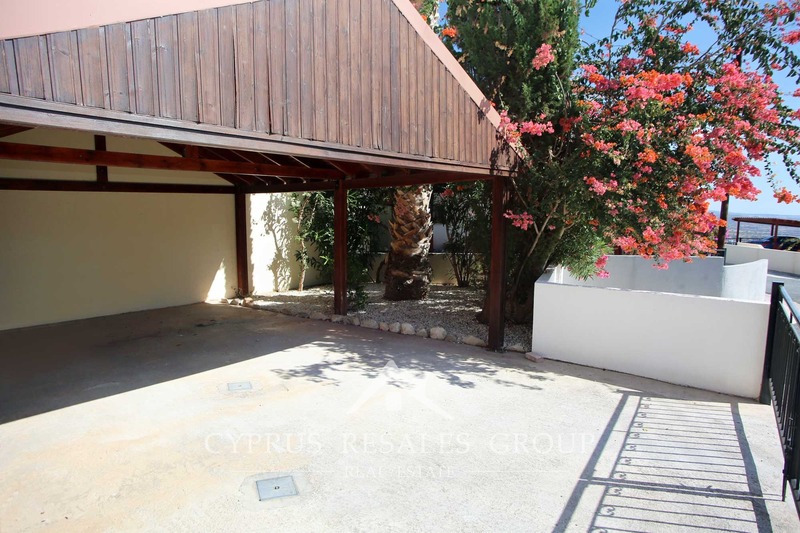 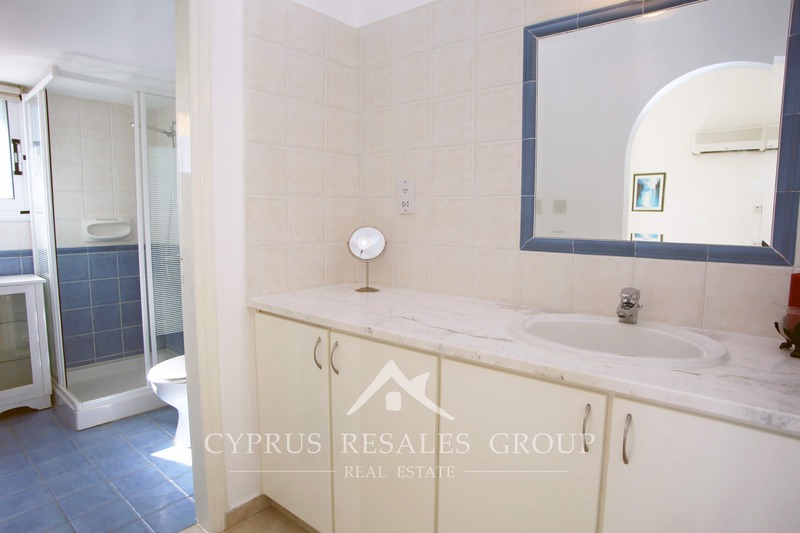 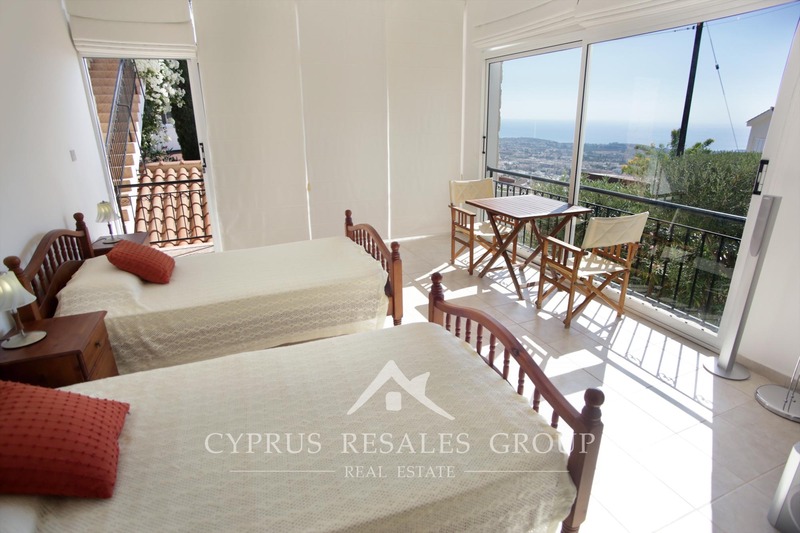 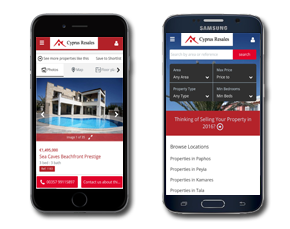 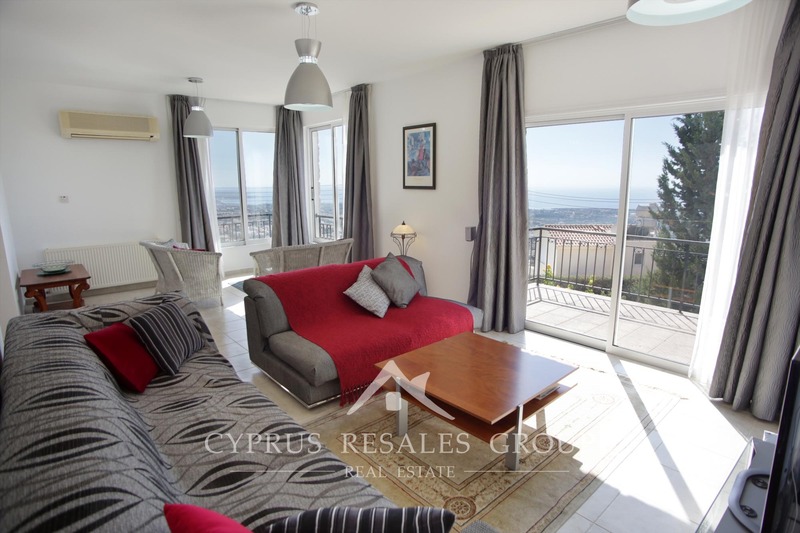 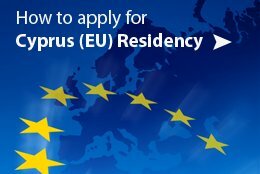 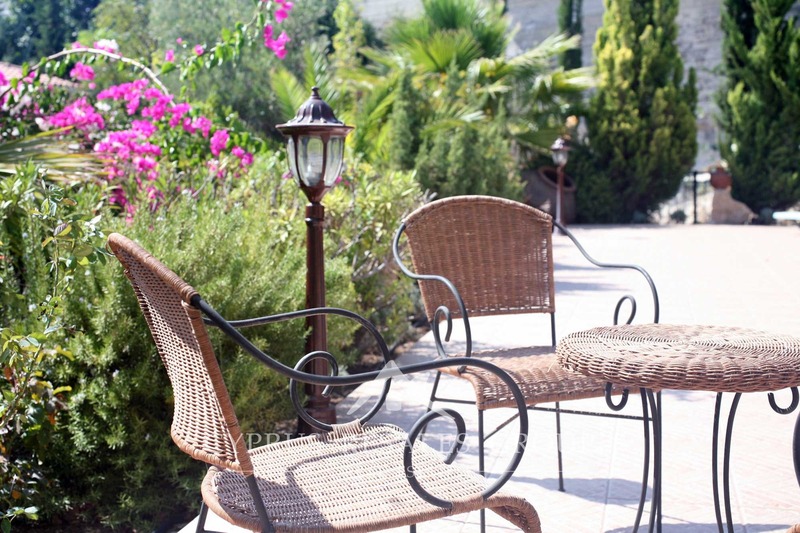 Your Cyprus dream starts here, in this excellent villa that comes with FULL TITLE DEEDS. 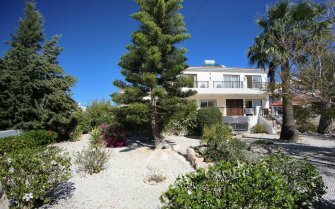 The main entrance leads to a well presented living-room and dining area. 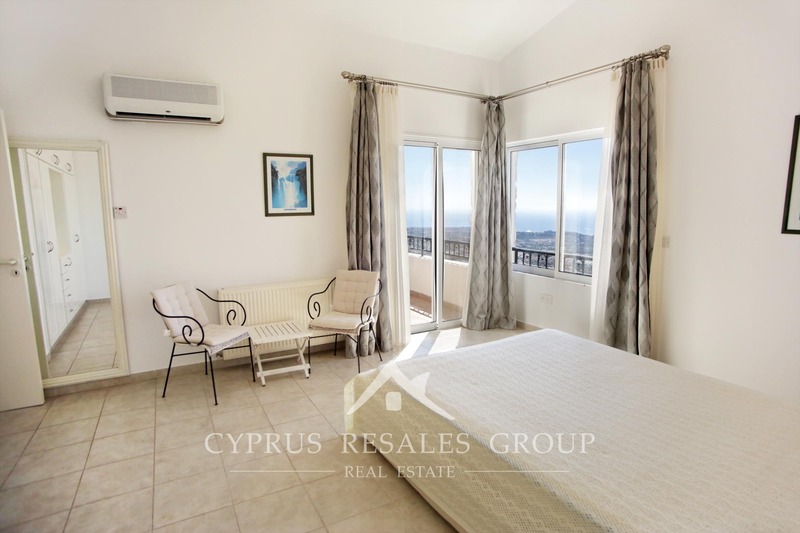 Large corner windows are strategically placed to make the most of the stunning sea views that will take your breath away. 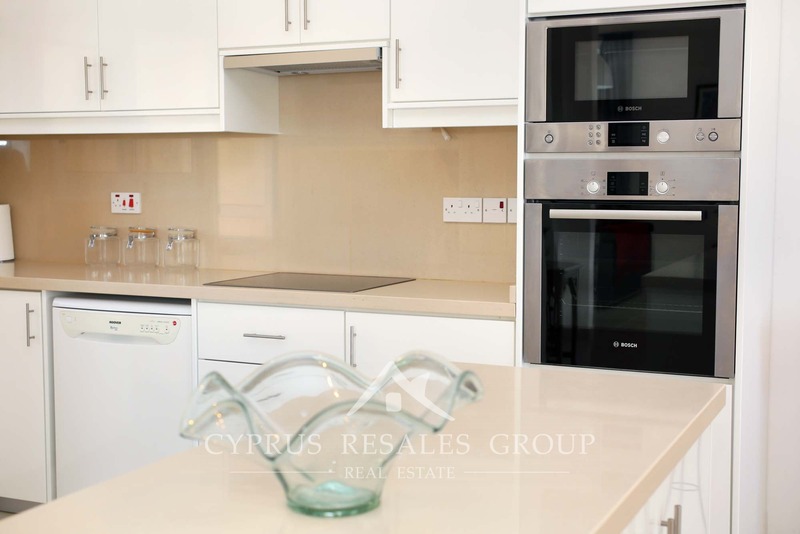 The fitted kitchen has a central island perfect for breakfasting or simply having a coffee. 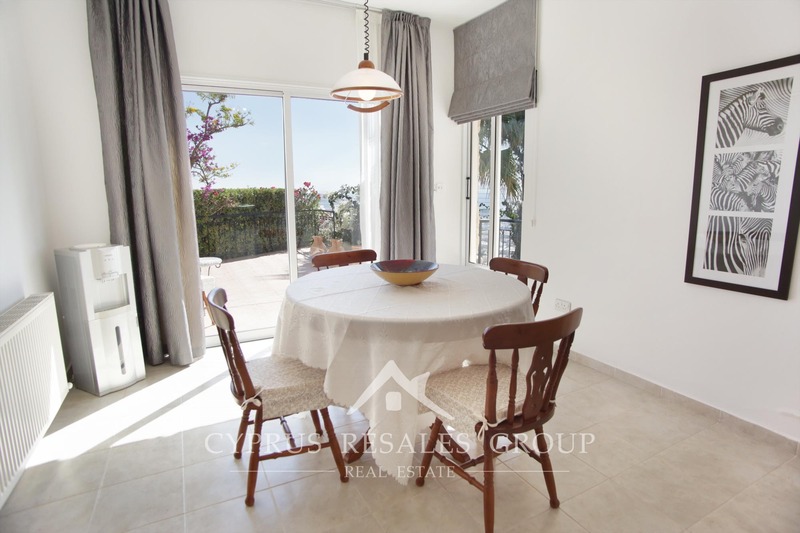 Open plan dining room exiting to the sea view patio provides great area for indoor/outdoor dining. 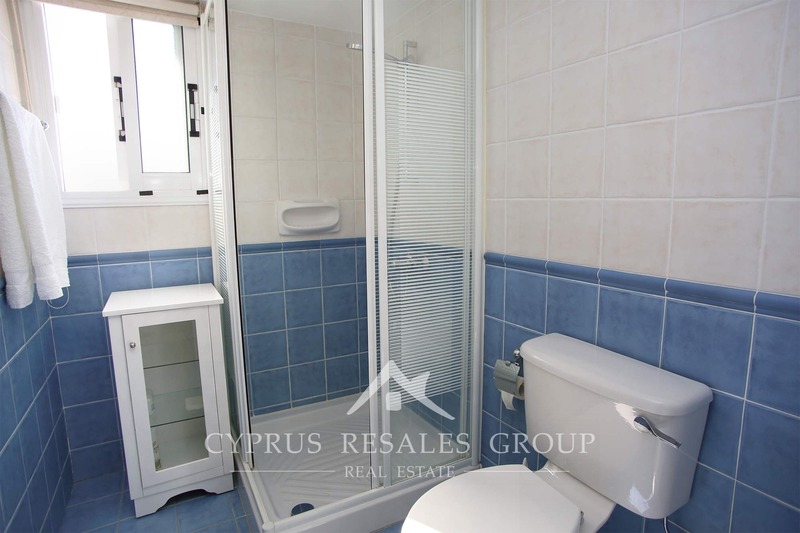 Guest toilet completes this level. 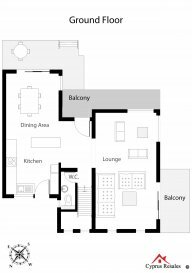 Marble stairs lead to the upper level. 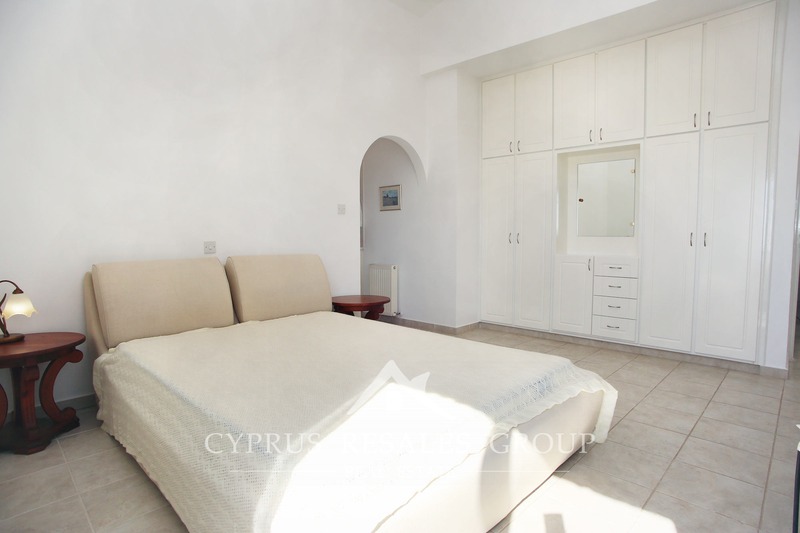 Upstairs there are three double bedrooms, all of which have fitted wardrobes. 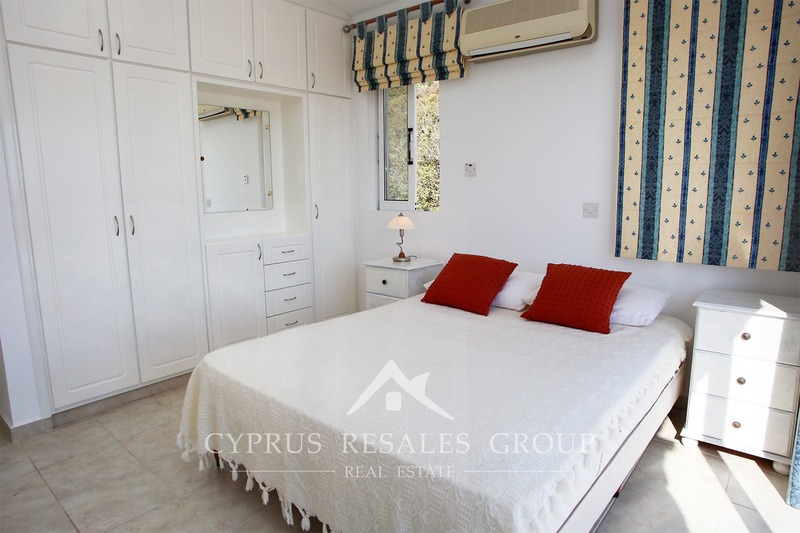 Master bedroom benefits an en-suite shower room and enjoys access to a cozy balcony with lovely coastal views. 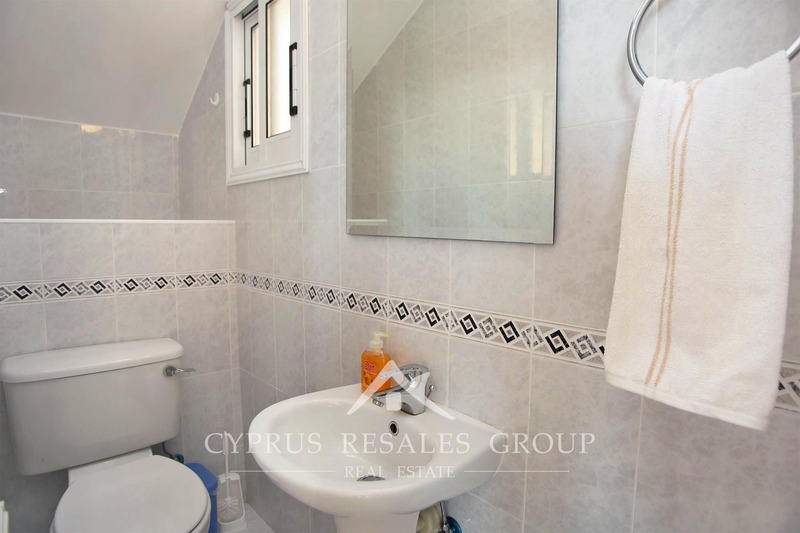 A full size family bathroom is also located on this floor. 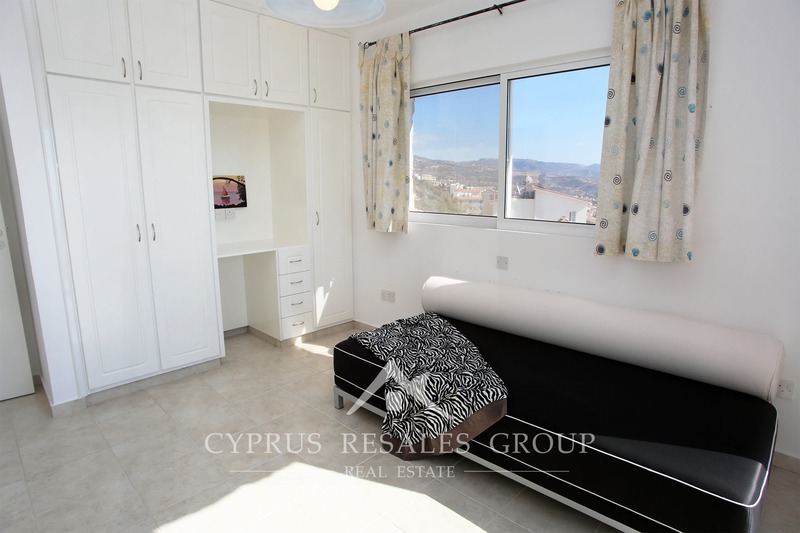 A self contained annex located on a lower level is perfect for independent guests or teenagers. 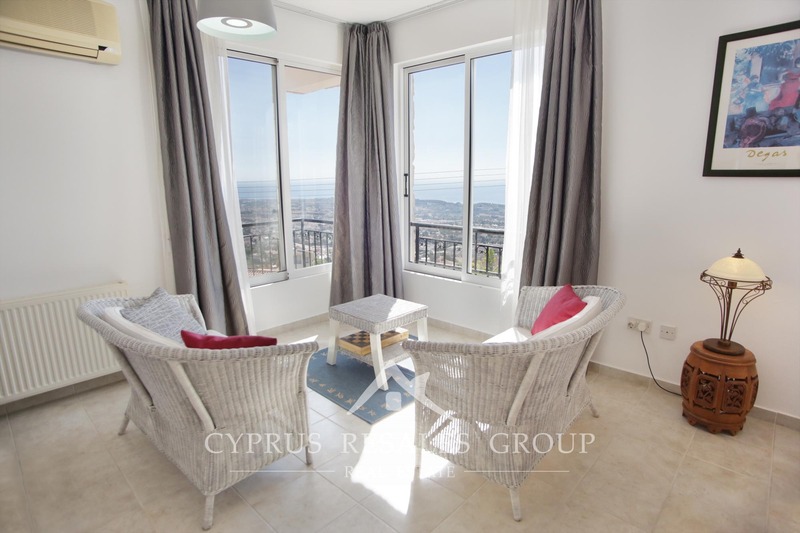 This modern and beautifully appointed space with floor to ceiling windows takes advantage of the stunning sea views that give “Villa La Mer” its name. 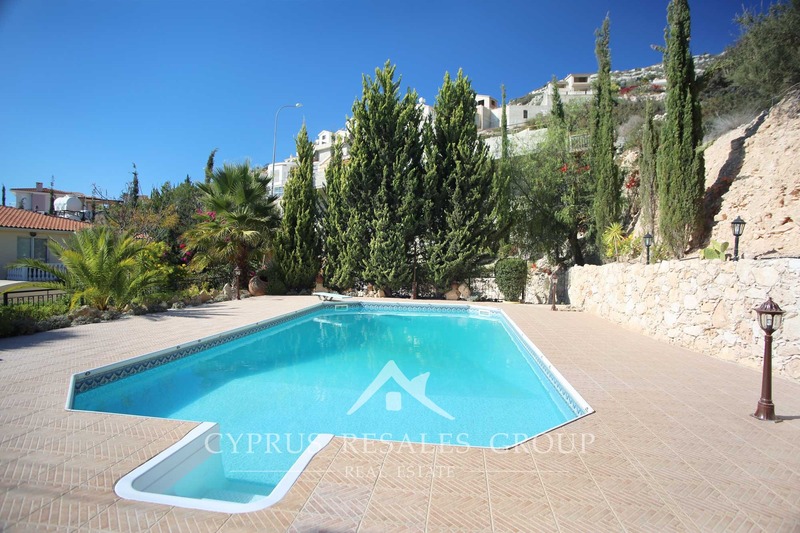 A large 10 x 5 heated swimming pool and ample private spaces to entertain your guests will make you popular with your family and friends. 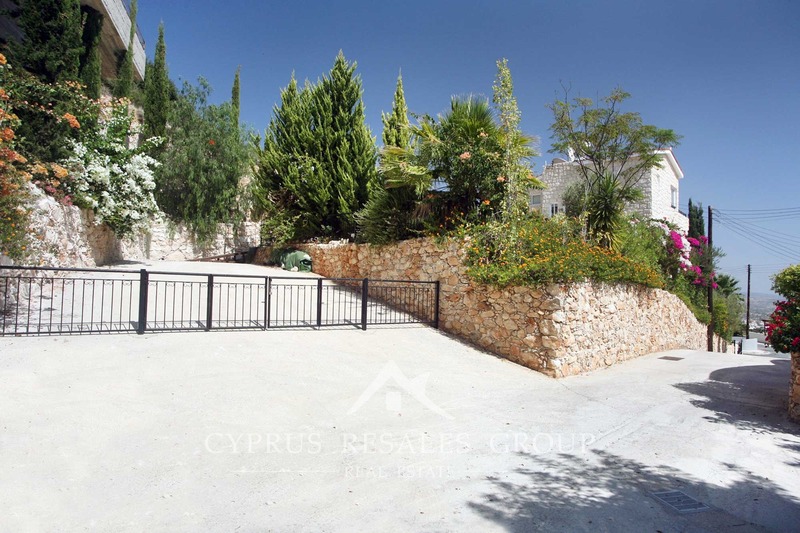 An excellent drive way with generous space for several cars is neatly hidden from view to the north of the property. 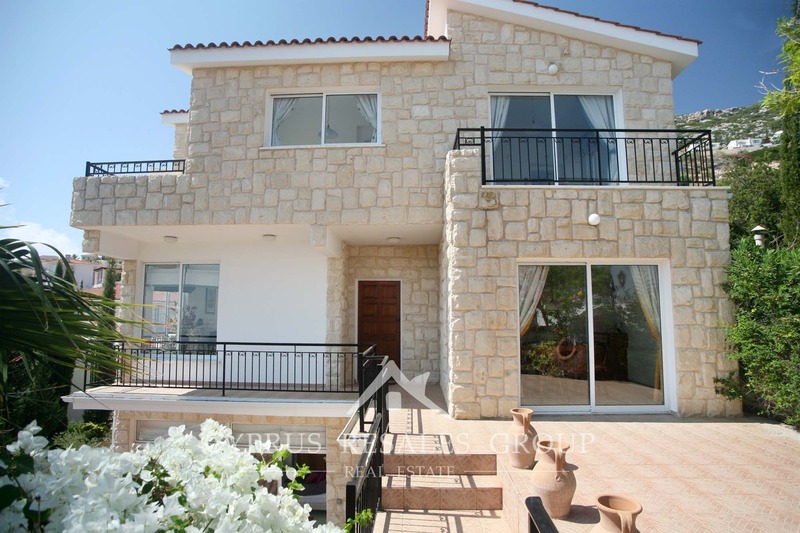 Seldom do such flexible family homes come to the market and this is for sure one of the best villas to appear on our books for an age. 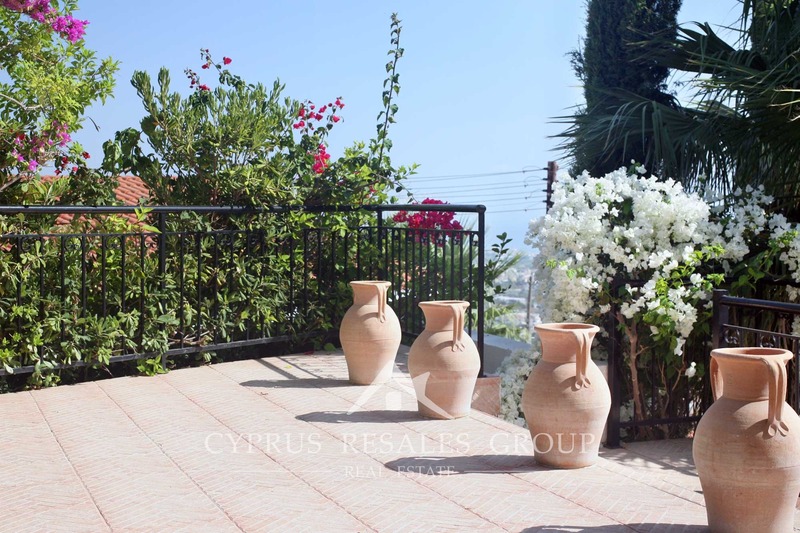 Buy it now before someone else does.